London /ˈlʌndən/ – a pronunciation guide. 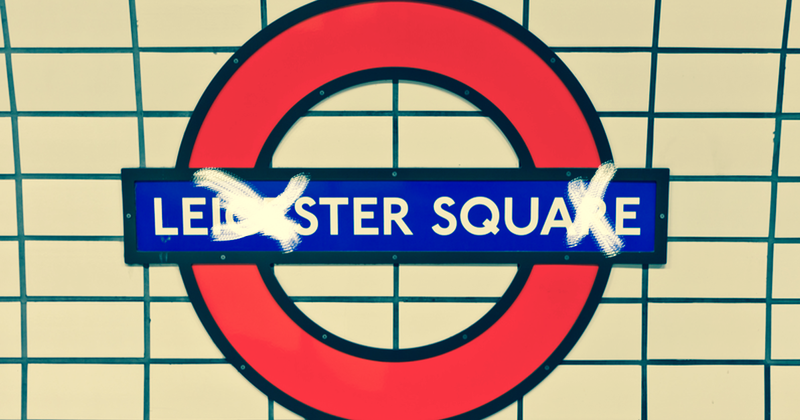 Let’s start in the centre: Leicester Square /ˈlestə ˈskweə/, Grosvenor Square, /ˈgrəʊvnə ˈskweə/ and Gloucester Road /ˈglɒstə ˈrəʊd/ all have confusing silent letters. Then there’s the deceptive ‘o’, in Southwark /ˈsʌðək/, Borough /ˈbʌrə/ and… London /ˈlʌndən/, which are all pronounced /ʌ/ as in fun. Some names are plainly ridiculous like Tottenham Court Road /ˈtɒʔnəm ˈkɔːʔ ˈrəʊd/, Euston /ˈjuːstən/(which rhymes with you), and Marylebone /ˈmɑːləbəʊn/ . But what do they all have in common?  A schwa sound /ə/ – so that’s the place to start. Moving to the suburbs, or ‘burbs’ /ˈbɜːbz/ for short, might give you more space, but it won’t solve the pronunciation issues. Starting with the silent h in Balham /ˈbæləm/, Clapham /ˈklæpəm/, Fulham /ˈfʊləm/, and Vauxhall /ˈvɒksɔːɫ/, it mixes with ‘s’ in , Lewisham /ˈluːɪʃəm/, and you do say it in West Ham /ˈwest ˈhæm/, East Ham /ˈiːst ˈhæm/ and….. Ham /ˈhæm/. Out West you’ll find such delights as Wimbledon /ˈwɪmbɫdən/, Chiswick /ˈtʃɪzɪk/ and Ruislip /ˈraɪslɪp/, whilst East there’s Rotherhithe /ˈrɒðəraɪð/, Woolwich /ˈwʊlɪtʃ/, Surrey Quays /ˈsʌri ˈkiːz/ and Greenwich /ˈgrenɪtʃ/ by which time you might have gone Barking /ˈbɑːkɪŋ/ mad. A typical London accent is working class, a bit of cockney /ˈkɒkni/ in there, innit /ˈɪnɪʔ/? But you’ll hear all sorts of accents in London. Very generally speaking West is posh, East is cockney, and everywhere else is in between, ranging from Estuary /ˈestʃəri/ (a bit London) to RP /ˈɑː ˈpiː/ (neutral – what they used to sound like at the BBC). In Buckingham Palace /ˈbʌkɪŋəm ˈpælɪs/ you’ll find the Queen, we all know what she sounds like. London mayor, Sadiq Kahn works in City Hall /sɪti hɔːɫ/, he has a modern, neutral accent with a hint of London. Fortunately, particularly if you believe what they say about English cuisine, London has food from all over the world. You’ll find Italian, Chinese and Indian restaurants on most streets. For something different, head to Edgware Road /ˈedʒweə ˈrəʊd/ for Lebanese, Dalston /ˈdɑːɫstən/ for Turkish, Brick Lane /ˈbrɪk ˈleɪn/ for bagels, and Stockwell /ˈstɒkweɫ/ for Portuguese. You’ll find every type of cuisine in Soho /ˈsəʊhəʊ/, Angel /ˈeɪndʒəɫ/ and Brixton /ˈbrɪkstən/: Japanese, Ethiopian, Greek, Polish, Jamaican, on a sunny day you can even sit outside with a cool glass of Sangria – you get the idea. But what about English food, or “grub” as it’s locally known? Well, you should head to your local caff /ˈkæf/, (café /kæˈfeɪ/ if you’re posh), for a full English breakfast. A sarnie /ˈsɑːni/ for lunch, (sandwich /ˈsændwɪtʃ/ if you’re posh) which probably contains cucumber. If you’re really posh you can stop at 5 for afternoon tea /ˈɑːftənuːn ˈtiː/. In the evening, head to your local pub (‘boozer’ /ˈbuːzə/ to the locals) or chippy /ˈtʃɪpi/ for fish’n’chips, that would be your local gastropub /ˈgæstrəʊpʌb/ or bistro /ˈbiːstrəʊ/ …. if you’re posh. There are three types of film set in London: inoffensive romantic comedies (Romcoms /ˈrɒmkɒmz/), generally with Hugh Grant wandering around nice areas like Notting Hill /ˈnɒtɪŋ ˈhɪɫ/ and being charming and foppish. Then there are gangster flicks /ˈgæŋstə ˈflɪks/ set in the East End /ˈiːst ˈend/, like ‘Lock Stock & Two Smoking Barrels’ and ‘The Long Good Friday’, with well ‘ard Cockney geezers gettin’ up to mischief. And finally there are the period dramas, like The King’s Speech, which is set in Marylebone /ˈmɑːlibəʊn/, and My Fair Lady in Covent Garden /ˈkɒvəŋʔ ˈgɑːdən/, both of which, incidentally are about elocution. On television, the most famous series is Eastenders, which is based in Walthamstow /ˈwɔːɫθəmstəʊ/; East, obviously. Camden Lock /ˈkæmdən ˈlɒk/ is where you’ll find everything colourful and freaky, from furniture and lava lamps to jewellery and clothing. If you love food, head to Borough Market /ˈbʌrə ˈmɑːkɪt/. Carnivores might want to get up early to visit Smithfield /ˈsmɪθfiːɫd/ in Farringdon /ˈfærɪŋdən/– the UK’s oldest and biggest meat market, the building is impressive, even if you’re a veggie. On Sunday the Columbia Road /kəˈlʌmbiə ˈrəʊd/ flower market in Bethnal Green /ˈbeθnəɫ ˈgriːn/ is well worth a look. Hmm ‘flower’ is a funny word you know? In posh it’s /ˈflɑː/, cockney [ˈflæː] and in GB it’s /ˈflaʊə/. You’d best decide which one you are before you visit! The annual Chelsea flower show favours the first version. There’s plenty to see in London, where better to start than a boat trip on The Thames /ðə ˈtemz/. For a panoramic view, try The London Eye /ˈlʌndən ˈaɪ/ and London’s tallest building – the Shard /ˈʃɑːd/ in London Bridge. If you like your history, start at Westminster Abbey /ˈwesmɪnstər ˈæbi/, the setting for every coronation since 1066. The crown jewels are kept in The Tower of London, and the dome at St Paul’s Cathedral /smʔ ˈpɔːɫz kəˈθiːdrəɫ/ is a must-see. Relics from all over the world are on display at the British Museum /ˈbrɪtɪʃ mjuˈziːəm/, and people from all over the world are found at Madame Tussauds /ˈmædəm tuˈsɔːdz/, or at least their waxworks are. After all that you’ll be in need of a break – try one of London’s numerous Royal Parks – Regent’s Park /ˈriːdʒənts ˈpɑːk/ is also home to London Zoo /zuː/.